It has been a rollercoaster of a year so far for Steven Williams. The 59-year-old from Winsford has gone from feeling extremely stressed to being joyful and relieved in the space of just six months. With the support of Winsford’s Work Zone team and other services in Wyvern House, his prospects for 2018 are on the up after a difficult start. Steven and his partner owned a business selling video games and DVDs but the company really began to struggle last Christmas as they battled competition from other huge firms. Steven said: “We were undercut all the time and people were downloading more stuff online so the market was dying. We got rid of all our staff and based our business from home with just the two of us working. We could see the business was going down. We closed the business and became unemployed. In a visit to Cheshire West and Chester Council ‘s new public services hub at Wyvern House in Winsford, Steven discovered for himself how residents can benefit from having access to numerous public service providers all working together. He said: “During my meeting with the Job Centre Plus we were talking and they said the Work Zone can help you. We got introduced to the Work Zone team and they had a very sympathetic ear. Steven was able to get financial assistance to fund the different stages of becoming a taxi driver through a discretionary funding grant. Discretionary funding is very flexible for Winsford residents on out of work benefits and/or low household incomes and can be used to cover the costs of things where there is no other source of funding available and there is a realistic job outcome. This funding can be accessed from any service in the Winsford Public Services hub in Wyvern House. Councillor Brian Clarke, Cabinet Member for Economic Development and Infrastructure, said: “It can be a turbulent time for people who have worked all their lives to suddenly, later in life, face redundancy, a failing business and ultimately unemployment. The shock can damage people’s lives with many not knowing where to turn and with huge financial responsibilities on their shoulders. 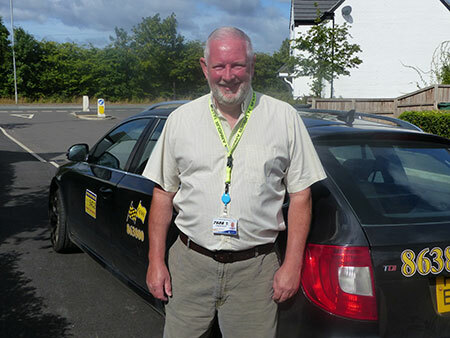 Steven got in touch with Ian’s Taxis in Winsford to find out if there was work available. Steven said: “They said yes and said if you qualify we will give you a job. I have been driving with them now for three and a half weeks and absolutely loving it. “People in similar situation to me who have lost their jobs shouldn’t give up. There is hope out there. I would highly recommend going to Wyvern House and the Work Zone because they are full of knowledge and have been so helpful. I have been surprised how it is so easy to achieve something so quickly. 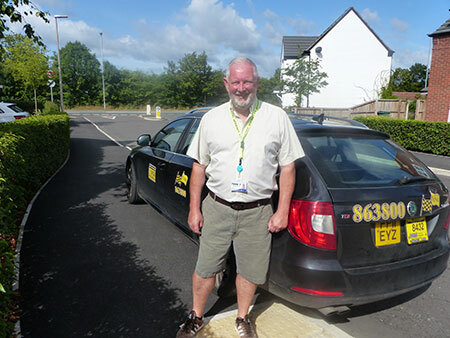 “Taxi courses were running once a month for two weeks a month. They run at Cheshire College, South and West’s Ellesmere Port campus and we could start the course very quickly in a matter of weeks.